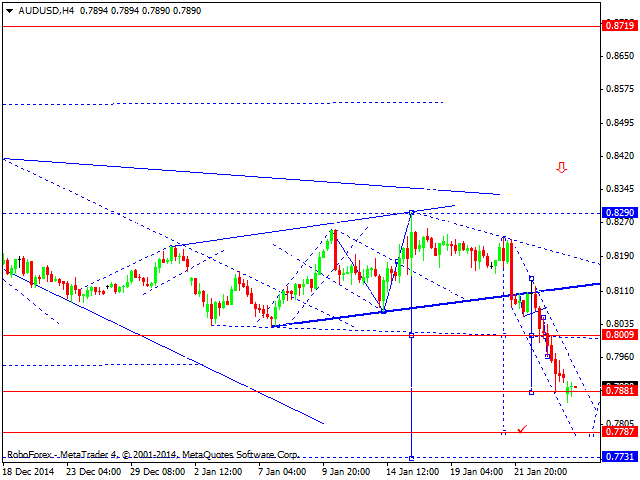 As we can see at the H4 chart, the market was opened with a gap. Eurodollar has reached a new low and right now is trying to start a correctional impulse, which may reach level of 1.1300. 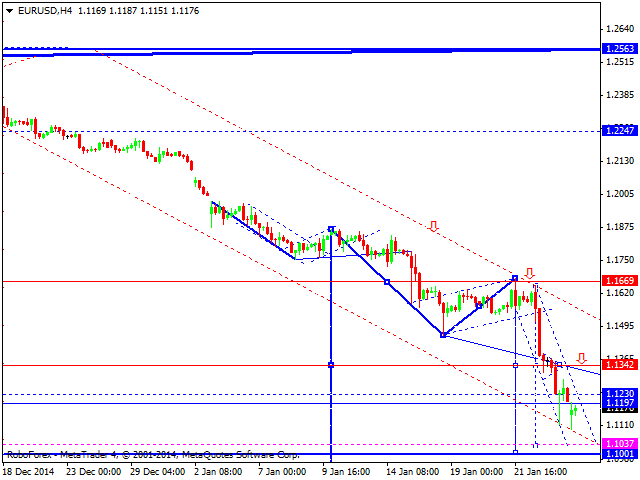 Later, in our opinion, the price may continue moving inside the downtrend to reach the target at level of 1.1100. 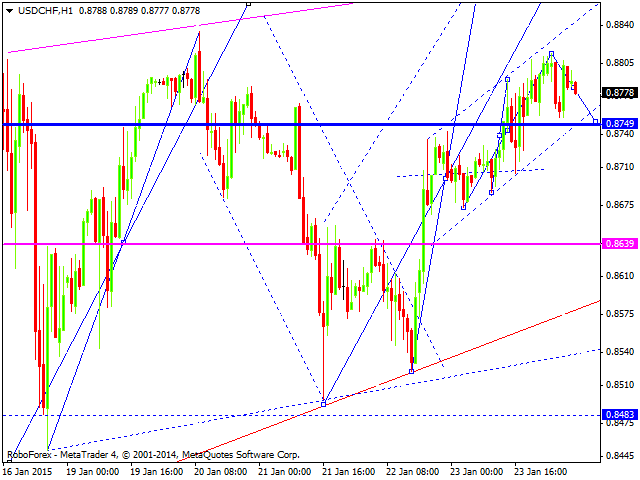 As we can see at the H4 chart, Pound is still forming a consolidation channel. 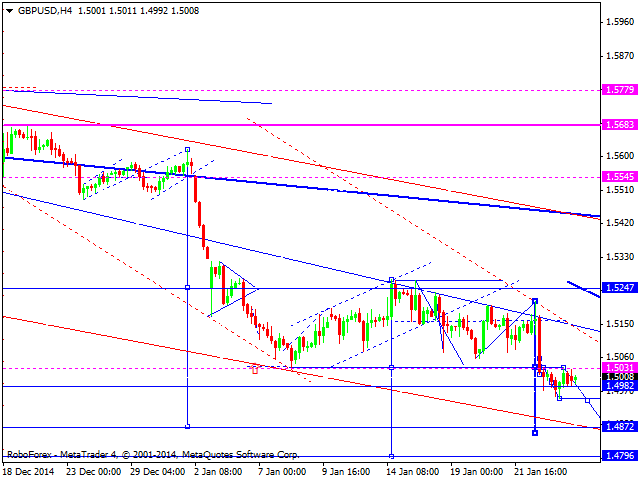 Later, in our opinion, the market may continue falling to expand this channel towards level of 1.4870. After that, the pair may consolidate for a while again and then continue falling inside the downtrend. The next target is at level of 1.4800. As we can see at the H1 chart, Franc is growing slowly. We think, today the price may reach level of 0.8900, which may be considered as the upper border of this consolidation channel. Later, in our opinion, the market may move downwards to reach the lower border. As we can see at the H4 chart, Yen is still forming a consolidation channel. We think, today the price may fall to reach level of 115.00 and then return to level of 118.00. Later, in our opinion, the market may fall towards level of 115.00 again to break it downwards and then continue moving inside the downtrend. As we can see at the H4 chart, the market was opened with a gap down and Australian Dollar continues forming a descending wave. We think, today the price may reach the next target at level of 0.7787. An alternative scenario implies that the pair may return to level of 0.8000 and then continue falling inside the downtrend. As we can see at the H1 chart, Ruble has rebounded from the lower border of its consolidation channel and right now is trying to return to the upper one. 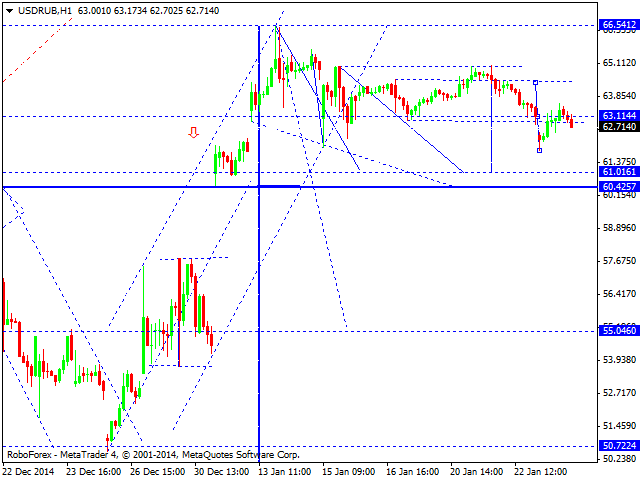 We think, today the price may continue falling to break the lower border and reach the first target at level of 55.00. 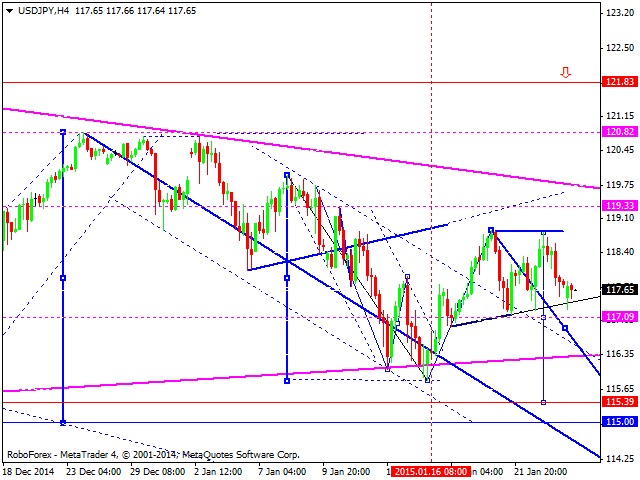 As we can see at the H4 chart, Gold is moving downwards. 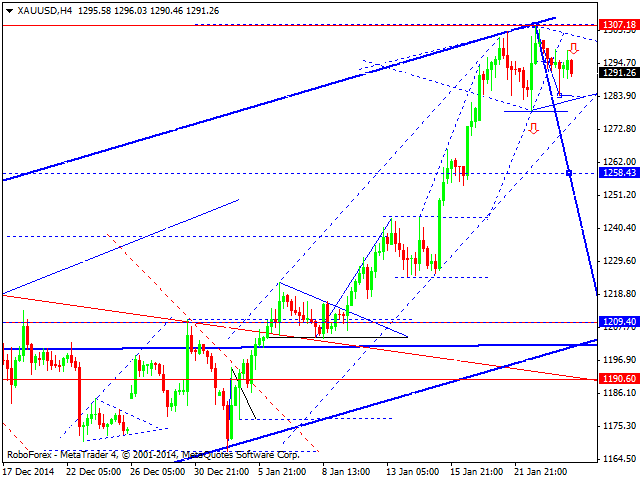 We think, today the price may break its consolidation channel downwards and start forming the fifth descending wave. The first downside target is at level of 1209.